Ein Korridor – Eine Strategie! 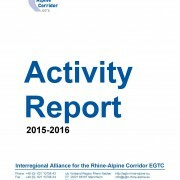 On 24 April 2015, the “Interregional Alliance for the Rhine-Alpine-Corridor EGTC” has been founded in Mannheim with ten founding members as follow-up of the Interreg VB NWE Strategic Initiative CODE24. 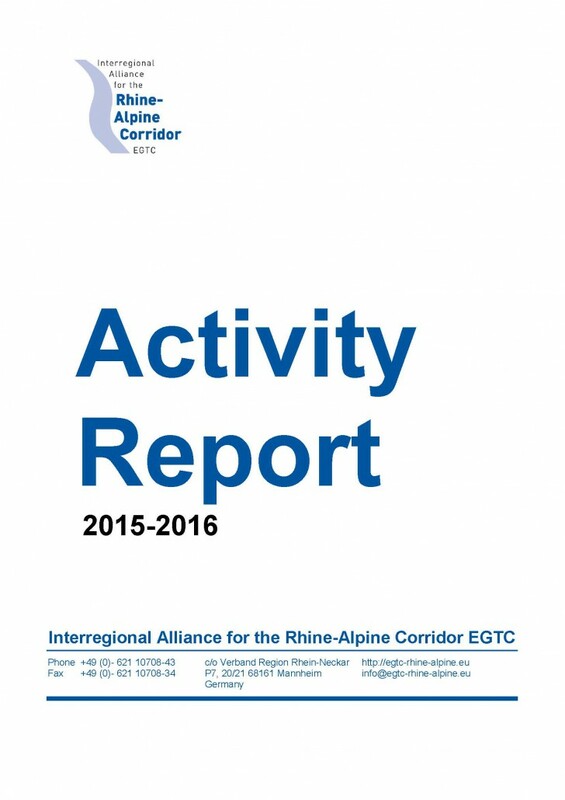 The main objective of the EGTC is to facilitate and promote the territorial cooperation among its members and to jointly strengthen and coordinate the territorial and integrated development of the multimodal Rhine-Alpine Corridor from the regional and local perspective. In the meantime, the number of members has grown to 21 and covers 6 countries. The EGTC is already recognized as a respected organisation since the short time of its founding and is also represented in the official EU-Corridor Forum Rhine-Alpine. The EGTC successfully directs funds to corridor related activities and projects like “ERFLS – European Rail Freight Line System” or “RAISE-IT – Rhine-Alpine Integrated and Seamless Travel Chain”. We are glad to present our report that gives an overview of the achievements of the EGTC from its founding in April 2015 till 2016 here.